One solution doesn’t fit all. 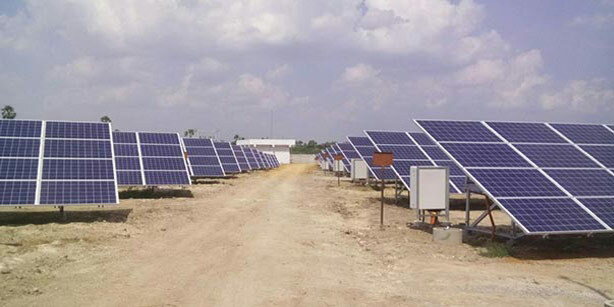 We offer superior, customised designs for solar farm projects that take into account the unique requirements of different geographies. Our products are designed based on criteria specific to each location such as wind-speed, tilt angle, module type and size, and terrain information. Our fabrication processes are robust and follow stringent quality norms, all validated by third-party experts. Our photovoltaic module mounting systems are optimally designed for durability, using high-quality steel. We source steel from our global steel trading division, which allows us a unique pricing advantage thus offering our customers an optimum return on investment. 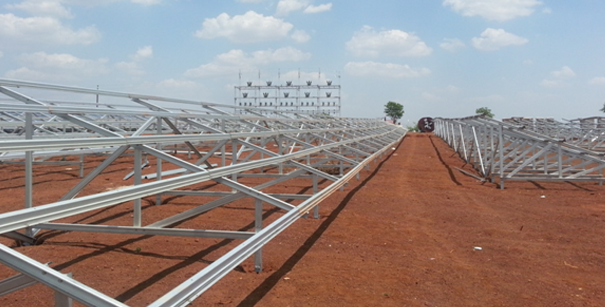 Our fixed tilt module mounting systems with solar panels tilted at a fixed angle, are simple and convenient to install. Our engineers study the local terrain and calculate the optimum fixed angle so as to capture the maximum amount of sunlight throughout the year. Our unique and patented profiles also allow faster installations as compared to conventional systems. Our Adjustable tilt module mounting systems are customised based on project location and customer’s requirements. In this solution, the panel tilt can be adjusted seasonally. Our Adjustable tilt structures capture more energy during the year by adjusting the tilt of the panels according to the season, as the sun is higher in the summer and lower in the winter. We offer two, three and four seasonal variations. Adjustable tilt structures tend to be heavier, but generate more electricity as compared to fixed tilt structures. 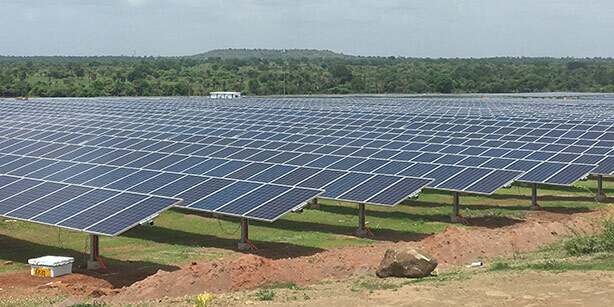 Our partnership with leading tracker suppliers enables us to provide solar tracking solutions that facilitate a gain of 15-18 per cent in power generation. Our expertise in designing module mounting structures enables us to provide customised solutions for rooftop solar projects and carport projects. We aim to provide optimised, cost-effective and durable solutions considering the safety of the civil structure, not only during the construction phase but also during operations and maintenance. We have a proven capability in providing solutions for different types of roof designs, including industrial, pre-fabricated and RCC roofs. In sparsely populated areas, the cost of central power generation and transmission through extensive infrastructure is prohibitively high. In such areas, distributed generation of solar photovoltaic power, a renewable energy, is a more viable option. These systems are designed based on local needs to provide an off-grid system that is more economical than a conventional grid. A distributed solar system is used to set up a mini grid that supplies power to a village or a hamlet, which was previously un-electrified. A decentralised distributed system with battery storage can be used simultaneously with individual solar home lighting systems to form a grid. This can be extended based on demand requirement. The battery storage allows the solar electricity produced during the day to be used during night time also, thus functioning as a regular grid.